Remember the good old days? Back when you’d head down to the local Nickelodeon to and put your quarter in the machine to play your favorite moving picture games? We used to save our allowance for days just to get another attempt to get the high score in Steamboat Willy. Kids these days don’t know how good they have it, being able to play their full-color talkie games in the comfort of their own home. If we wanted entertainment, we had to walk five miles uphill both ways! Thankfully we got Cuphead to teach those young whippersnappers what things were like back when times were simpler. 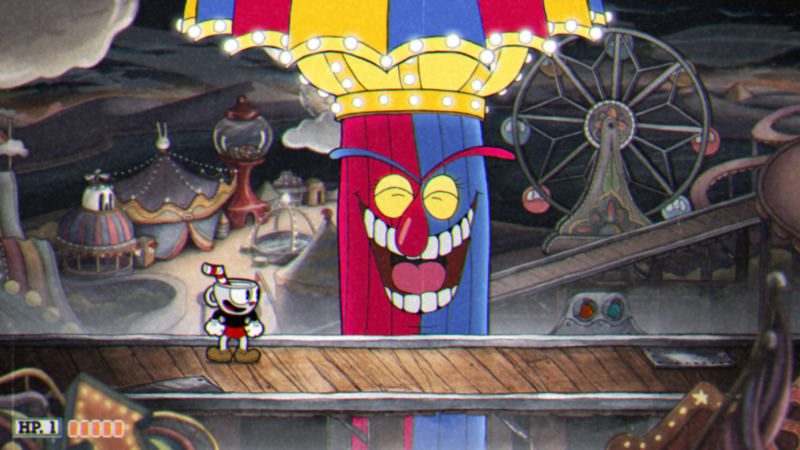 Cuphead is about an anthropomorphic drinking utensil with an unfortunate gambling debt. He now owes his soul to the Devil, and the only way to get out of trouble is to help Satan collect on his other debtors. Satan’s list is filled with contract kills across the Inkwell Isle, so now it’s up to Cuphead and his magical shooting fingers to get them to pay up. 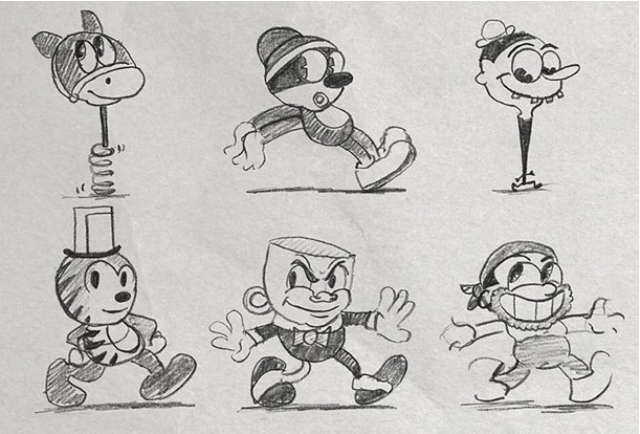 Rubber hose – There’s one thing we’ve all noticed since the game was announced, but it’s worth reiterating – this game looks unbelievably fantastic. The hand-drawn animation is top-notch, easily the best 2D animation I’ve seen in anything, games or otherwise, in quite some time. What’s not obvious by the trailers is just how deep the 1930s aesthetic goes. The film grain, the toe-tapping big band music, the creepy voice acting, the occasional integration of live action – the game commits to its aesthetic to an unbelievable degree. Wallop! 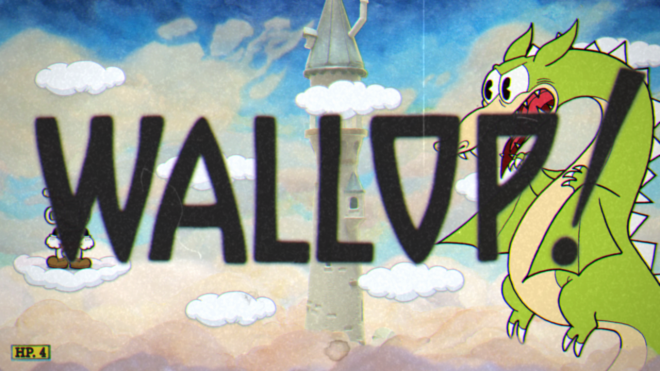 – The gameplay in Cuphead is incredibly solid. It’s a single-stick run-and-gun sidescroller, complete with a jump and a dash; controls are fairly standard but are perfectly responsive and well-tuned. The most interesting aspect of the gameplay is the parry; jump towards a pink object (any pink object, but ONLY pink objects) and press jump again to whack it and get a little extra air. It’s a great little mechanic that can be hard to pick up but feels great to successfully pull off. The gameplay has some surprising depth in the form of customization. You can equip two different types of guns, a perk which augments your abilities, and a super power. Strategically customizing your loadout for a battle can drastically change the game. The spreadshot is great for close-quarters combat, while the homing chaser shot removes the need to aim. 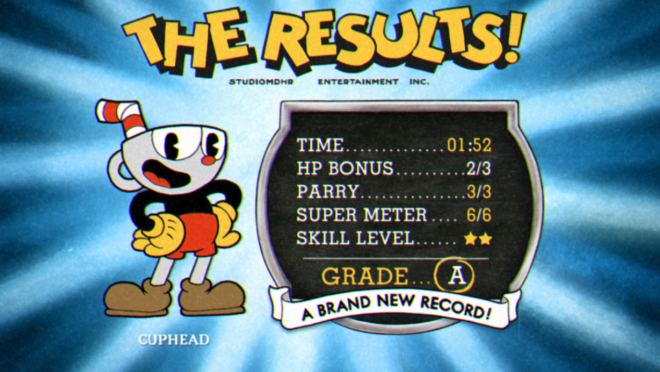 If a level gets too hard, equip the extra heart perk to gain an extra hit point – you get the picture. There’s not a huge selection in each category, but every item has its purpose and a well thought out combination can turn the tides of a battle. Duck season – Boss battles make up the majority of the game. They’re all some form of “shoot the weak spot” affair, but every single one is visually stunning, endlessly imaginative and incredibly challenging. 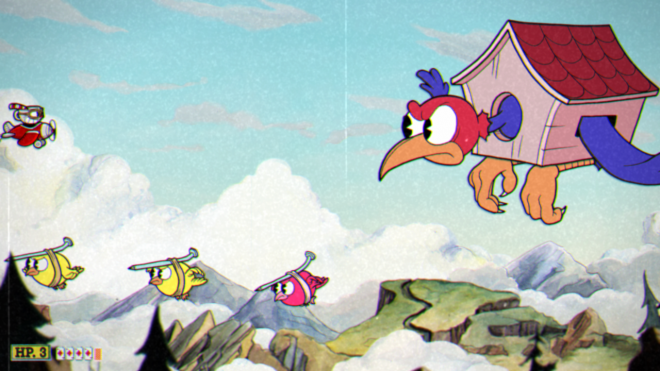 Cuphead can only take three hits per battle, give or take a couple based on your selected perk, and damage can fly in from all corners of the screen. Fights are hard, but not unfair. Patterns are easily recognizable based on visual and audio queues, leaving it up to the player to learn this information and start to anticipate what’s coming. Your first couple tries it’s forgivable to die, as bosses can take some drastic turns as they shift to new phases, but it won’t be long before every death is purely your fault. The boss’s health doesn’t show during a fight, but when you die you get a nice little progress bar to show how well you did, with markers denoting how close you were to the next phase. Boss battles are really short, only taking a minute or two, making it incredibly easy (and addicting) to retry over and over until you finally come out victorious. Manic melodies – Beyond standard boss battles, there’s a few where you’re piloting a plane to fight flying enemies. The plane has a single preset loadout, including bullets, bombs and a shrinking mechanic that makes you smaller and more agile, but greatly weakens your firepower. It feels just as great to fly as it is to walk, making these battles feel equally satisfying. The game also has a small handful of traditional run and gun levels, which has you collecting coins for purchasing upgrades. Here you’ll be running across the screen fighting hordes of weak enemies and doing some platforming. While these sections play differently they focus on the same design principles as boss battles – short, challenging bouts which require you to focus and learn. Mallet space – Even in an intentionally difficult game, there’s a such thing as throwing too much at the player. Some levels have too much going on, and it can get really hard to focus on everything and make it out alive. Some attacks are poorly telegraphed, leading to unexpected hits from moves you’ve seen a hundred times before. These problems seem to happen more in the sidescrolling levels, with enemies constantly respawning and things flying in from off-screen. There are also some issues with bosses with interchangeable phases, either switching the order of or completely replacing certain attack patterns, because of how they can vary in difficulty. For example, a genie boss can begin by either slowly throwing swords at you one at a time or launching a constant barrage of jewelry – it’s obvious which is preferable. It does add some variety but ultimately feels unfair in a game that rewards knowing what comes next and potentially leaves a good run up to the luck of the draw. I wish I could recommend Cuphead to everyone purely on its amazing animation and the sheer amount of work that was obviously put into it, but I can’t. The game behind the cartoony visage is finely tuned, well-rounded and (mostly) fair, but above all, it’s incredibly hard. It starts off challenging and gets absolutely relentless by the final act. This is the kind of game that asks for a lot of patience and dedication from the player, but if you’re into this type of challenge, you’re in for an absolute blast. 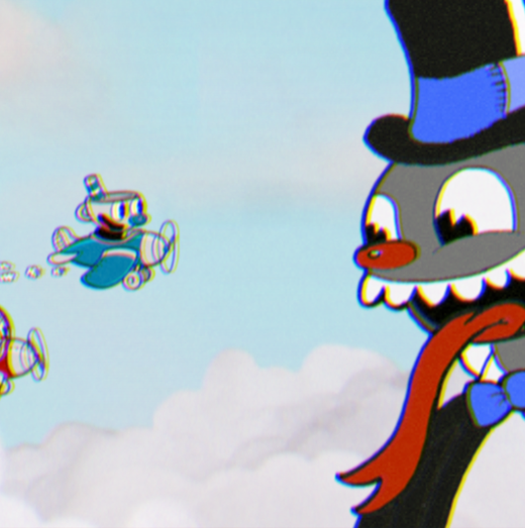 Cuphead was developed and published on Xbox One by Studio MDHR. It was released September 29, 2017, for $19.99. A copy was provided for review purposes.